If you have the “need for speed”, you’ll find it in the Dodge Hellcat models! But what are the major differences between the Dodge Challenger and Dodge Charger Hellcats? If you’re choosing one of these performance sports car models, it may come down to how many doors you want! The Dodge Challenger Hellcat offers a design faithful to the original 1970 racing model, complete with sleek looks, and many performance options including the 840 horsepower Demon edition (the most powerful street legal production car in the United States). 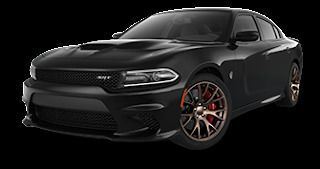 The Dodge Charger Hellcat option is the only four door muscle car available, with its Hellcat V8 option offering 707 horsepower. The Charger is the bigger of the two models, with an array of engine options for lots of power. In its Hellcat option, the aerodynamics of the Charger allow it to reach 200 mph. Hellcat models are limited, and industry experts say they’ll become collector’s edition vehicles. To see the Hellcats at Melloy Dodge, visit us at 9621 Coors Blvd. NW in Albuquerque, call us at 505-843-9600, or shop online at MelloyDodge.com.